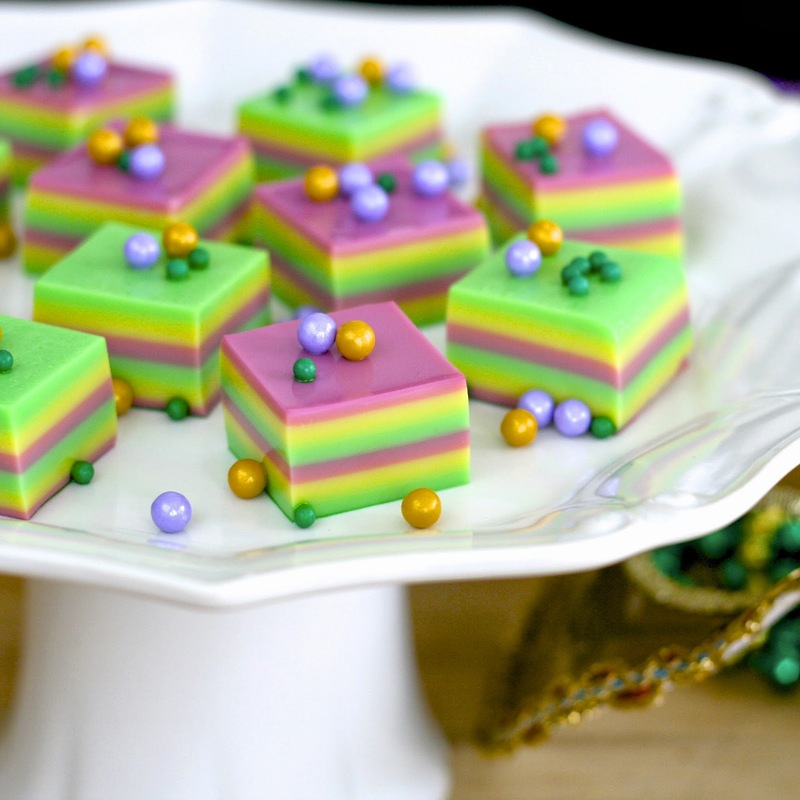 Mardi Gras is a time to celebrate and indulge. It means “Fat Tuesday” in French, and it’s traditionally the day before the fasting season begins for Lent, which means lots of fatty foods and booze. Seems like the perfect time for jelly shots! Since the traditional colors of this celebration are green, purple and gold, I decided to do a take on the ribbon shots featured at Christmas and for the Big Game. Add a few pearl candy “beads” and you’re in business! To get the recipe, head on over to Tablespoon!